When the requirements are understood at a high level, it helps the team to break down the task into smaller tasks or sprints. Only one sprint is taken at a time. This enables the team to focus on only delivering a small piece of functionality at a time, rather than losing focus thinking about the entire deliverable. Again this is one of the key agile principles. The sprints should be delivered frequently and regularly. This helps in meeting the expectations of the customer at every stage of the project. 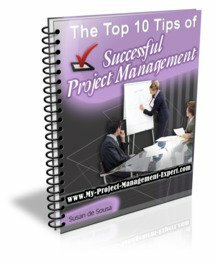 It also ensures the project retains momentum which again helps the project manager in managing project teams by keeping everyone clear on the task at hand. Basically the principles of Agile mean that the first sprint is analyzed, developed and tested before starting the second one. This enables any changes required to be implemented immediately into the next sprint. Then the second sprint goes through the same small software development life cycle. How many times have you heard about the 80/20 rule? It appears to have relevance to virtually every situation and problem! In the agile principles as in everything to which this rule is applied, the 20% of the effort you expend, gives 80% of the result. Hence you it makes sense to determine the 20% portion which will give you the 80% advantage and complete it first. It is one thing to test the software developed in a sprint in isolation. What happens though when you have to put all the sprints together to make one codebase? It does of course have to be tested in what is known as integration testing. Hence, every time after completing a portion of the software, it must be tested separately as well as combined with the previous ones. During the project, the team must be working closely and collaboratively. To translate this into plain English, this basically means the team members need to sit nearby and actually talk to each other rather than sending incessant emails. Actually this isnt just one of the principles of agile this is key to all successful project teams. You would not believe the times when team members have emailed each other questions despite sitting in the same section of the same floor! If you only concentrate on one thing make sure it is, scope, scope, scope. Ensure you have an unambiguous project scope statement and business requirements documentation otherwise you will quickly find your project becoming an example of scope creep. And once you reach that stage your project will be in terminal spiral!